Fall for our Pumpkin Classics! Did someone say Pumpkin Spice? 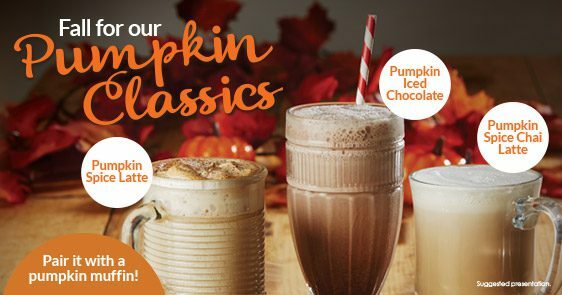 For a limited only, you can get our Pumpkin Iced Chocolate, Pumpkin Spice Chai Latte, and Pumpkin Spice Latte! Come in and try our Pumpkin Classics today!